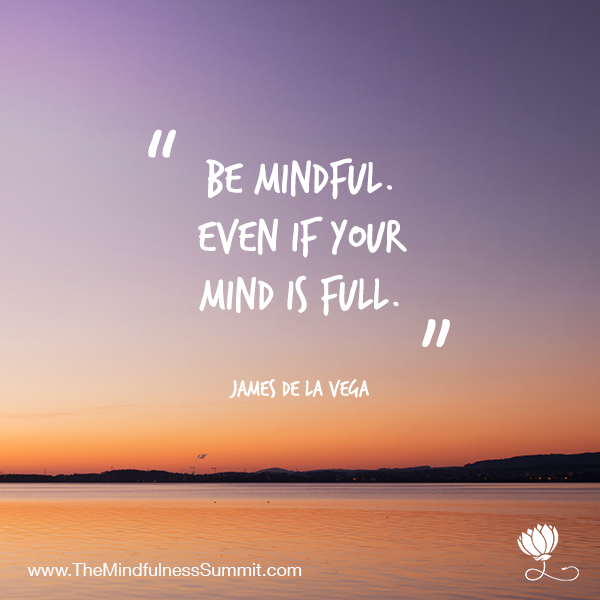 The Mindfulness Summit: Be Still. Recharge. Re-Engage. If you were to describe your life at the moment, how many of us would use the word ‘busy’? How many of us have never ending ‘to-do’ lists? If someone asks you how you are, how many of you would reply ‘Good ... but busy’ . Why are we so obsessed with packing our schedules, thinking a mile a minute, rushing around with no time to stop and smell the roses? There is an obsession with needing to do something all of the time, a cultural badge of honour. It’s not unusual to wake up and scroll through your feeds before even saying ‘Good morning’ to the person lying next to you, or checking in with yourself. As a society we have never worked more hours in a week than we do now; we have never pushed ourselves so hard. 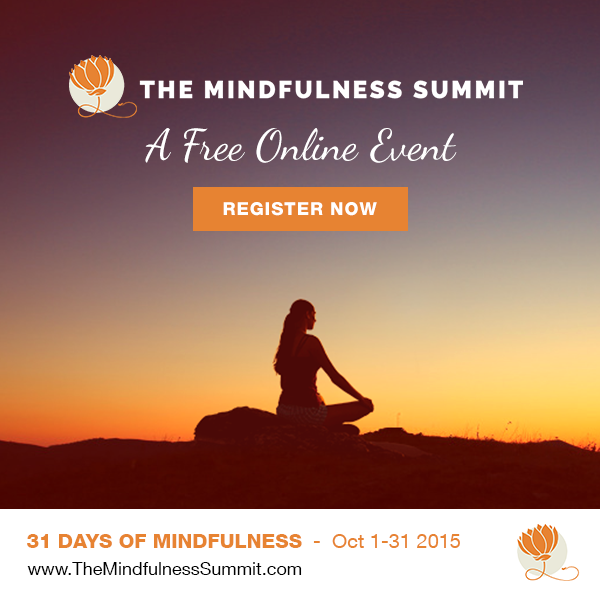 Melli O’Brien, of MrsMindfulness.com, presents The Mindfulness Summit: 31 Days of Mindfulness - a FREE 31-day online summit which runs from 1st to 31st October 2015. 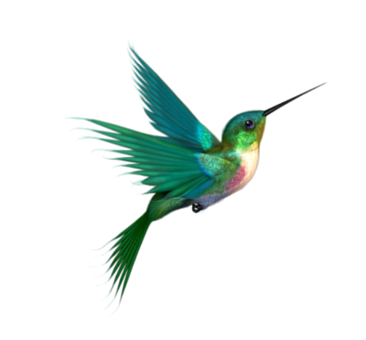 The Mindfulness Summit is designed to bring mindfulness to everyone, and it will give you the opportunity to learn mindfulness from the comfort of your own home, from some of the world’s most respected teachers. The summit is a not-for-profit project, with a mission to make mindfulness mainstream and aims to create a global community of people bringing mindfulness into their lives, whilst making a positive impact on the lives of others. This is why all monies raised from the summit project will be going to mindfulness based charities, including Breathworks, The Oxford Mindfulness Centre and Mindfulness in Schools; charities all working in the field to further mindfulness research and teaching. 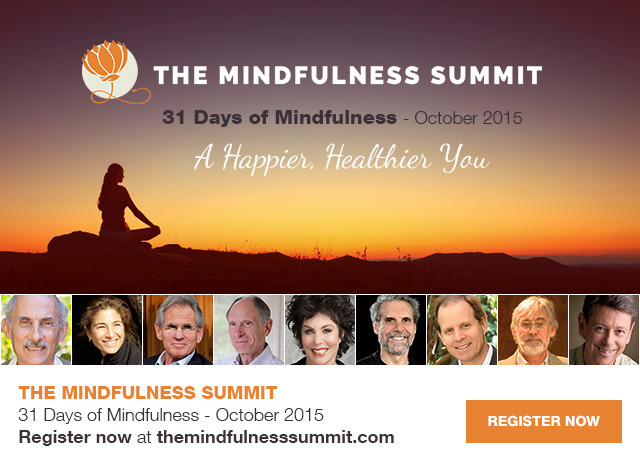 Over the month of October, for 31 days you will be invited to listen to 31 world-renowned mindfulness experts on TheMindfulnessSummit.com, sharing their knowledge and wisdom with you all. Speakers include Ruby Wax, Jon Kabat-Zinn, Jack Kornfield, Tara Brach and Joseph Goldstein: join them as they share their tips, stories and some of the best ways to incorporate mindfulness into your life. As part of the 31 days of mindfulness, we’ll also be sharing our best tips for mindfulness, wellness and meditation, as well as setting small challenges for you throughout the month - and these are all designed to be easy, accessible, and something you can slip into your daily routine. You will learn how to transform your inner world to a place of wholeness and ease, handling life’s challenges with more wisdom and skill. By the end of the summit you will have learnt how to integrate mindfulness more fully into daily life. So are you ready to take part? I'm definitely taking part ... come on, join me! It's free so you've got nothing to lose ... and everything to gain!